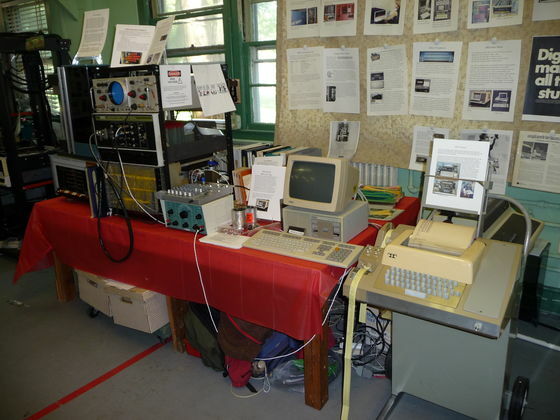 On the right is the teletype with a paper tape I was reading in. Behind it is the LetterPrinter 100. To the left is the DECmate III. To the left of it are some of the parts I replaced restoring the straight 8.